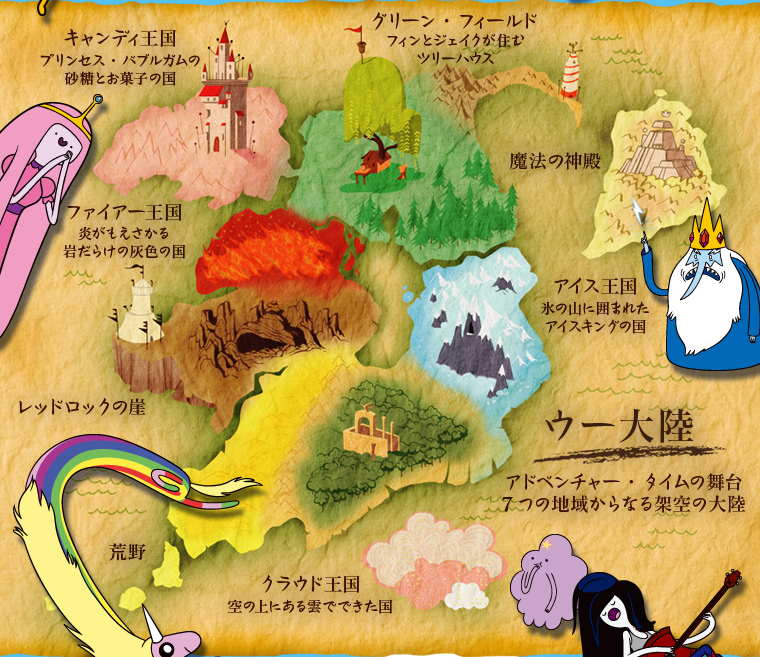 Adventure Time Map. Sorry it's in Japenese. HD Wallpaper and background images in the अड्वेंचर टाइम वित फिन आंड जेक club tagged: photo marceline lsp lady rainicorn ice king princess bubblegum.